Once again apologies for the long time between posts, but between work, work and uni there hasn't been much time for fun stuff like blogging. 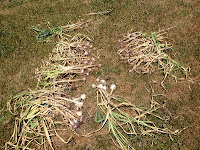 Also, as I didn't really grow much this season there hasn't been an endless supply of produce and recipes to blog about. 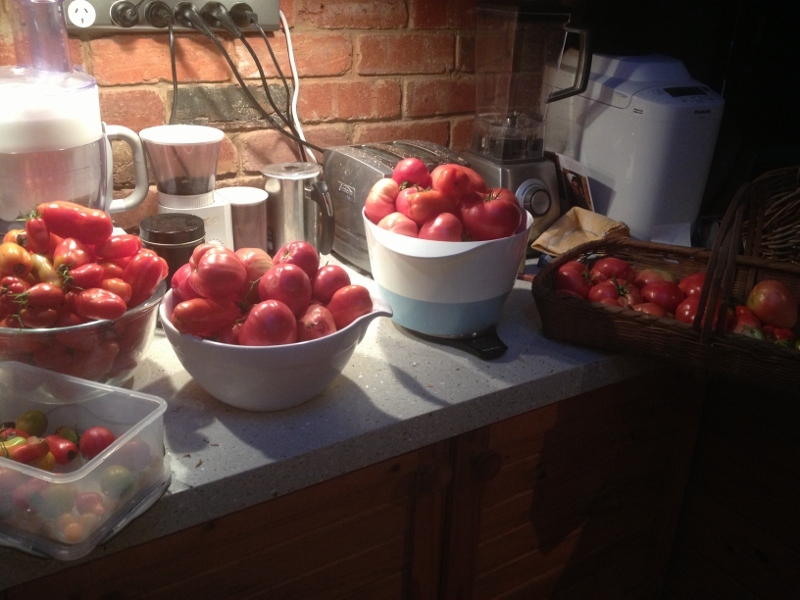 My staples of tomatoes and garlic have been very successful. 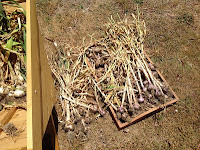 I harvested over 200 garlic bulbs, and I've been dehydrating some and making my own garlic powder before it all starts to sprout. It's really easy, and smells amazing. 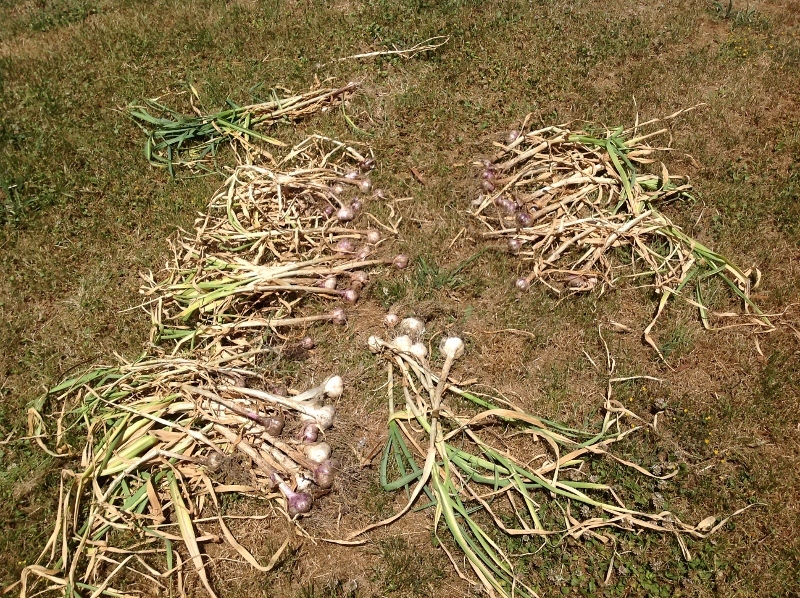 Hopefully that will carry us through the "garlic gap" between harvests. 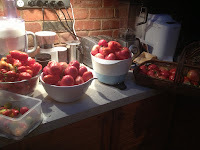 We're still picking tomatoes, although with the first hard frost predicted this weekend there probably aren't many more to go. So far I've eaten, bottled, pureed and chutneyed my way through 114 kilos. From about 26 plants. I lost probably another 5-6 kilos at least to blossom end rot. 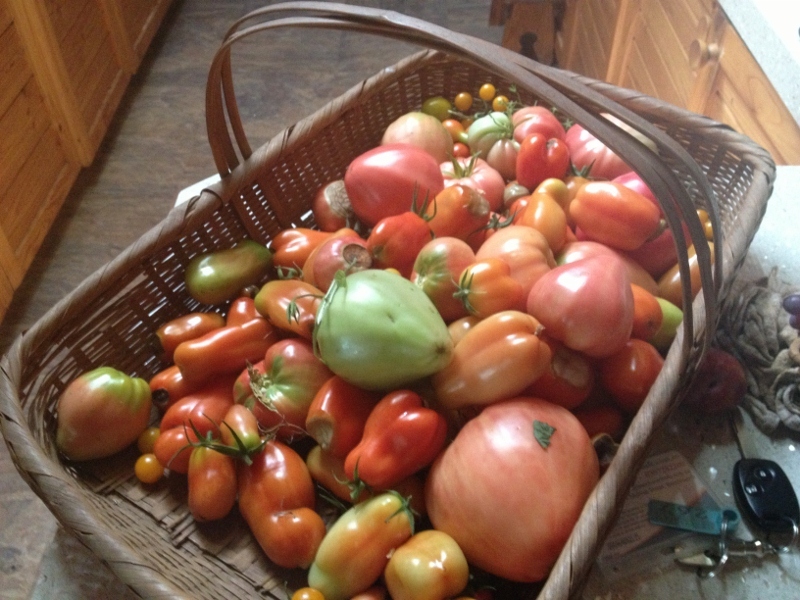 Mostly Romas, which I've never done well with. Next year I think I will concentrate on amish paste / oxheart for bottling, as they just keep on keeping on, seem more resistant to problems like end rot and taste lovely. I had a few plants of beefsteak tomatoes that did well and they were just divine eating, so I will grow them again too. I have about 50 bottles of passata / diced tomatoes. Not as many as I would like, but I can make them stretch I hope! So far I've made 30 jars of green tomato chutney - and that only used up 7kg of green tomatoes, so there's still more chutney to make. It's been a good year for chillies as well - those plants that survived the attack of the bower birds. 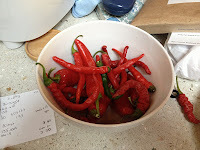 I've harvested about 2kg, and dried they will keep me in chilli powder for at least a year. I have also just picked a few of the random pumpkins that grew out of the mulched up vegetable scraps we got from the green grocer. No idea what they are but they look tasty. 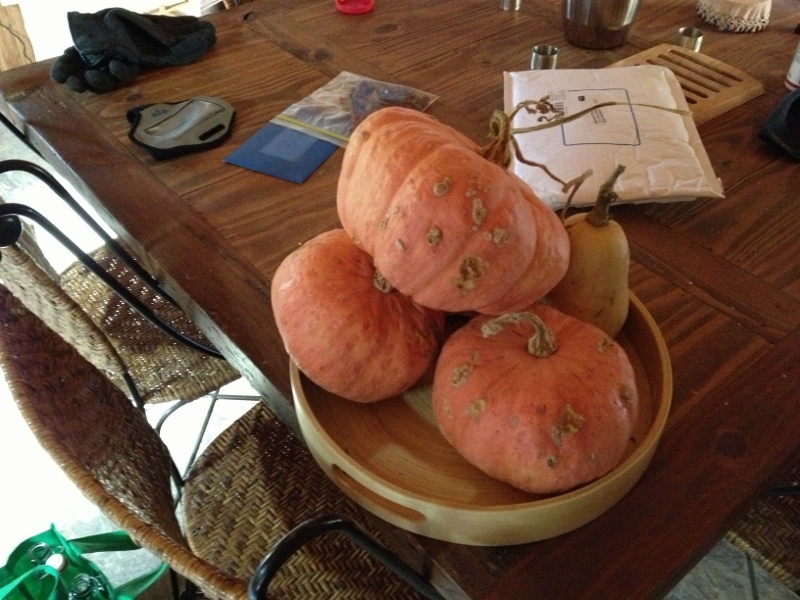 I grew a few butternuts this year, but they fell prey to possums before I could net them. The raspberries are still going, but again I don't think there will be many more to pick. 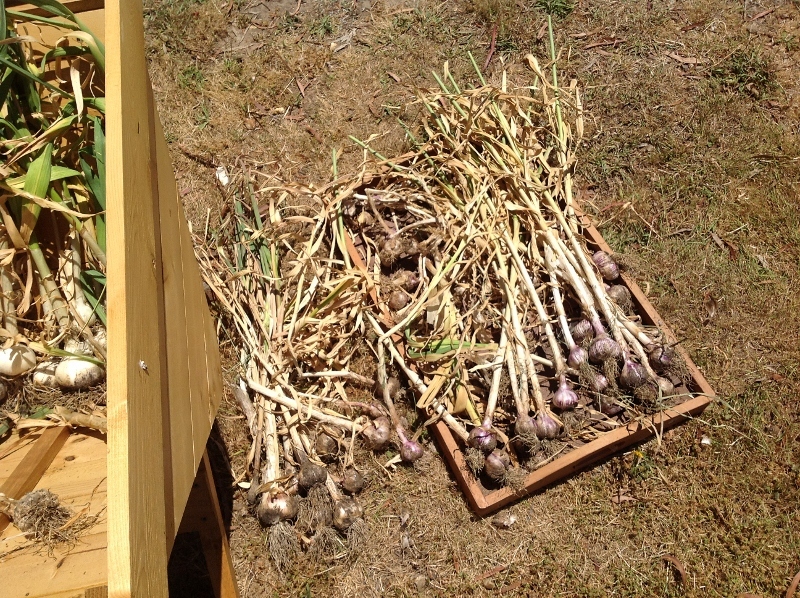 We've harvested just over 8kg this season. I've made jam, muffins, raspberry vinegar and also frozen a lot for muffins. We've also had raspberries with breakfast almost every day for the last 3 months. The strategy of planting early, mid and late varieties has worked well again this year, with raspberries available for eating from early December until now, mid May. The flavour of the early ones is the best to me, with a delicate perfume that the late varieties can't match, but they are all lovely compared to the shop bought options. Once semester finishes in a few weeks I'll be getting back into the garden for a major tidy-up and mulching for winter.